Call us at 1.844.LINT.911 right now to protect your property, home and family, no matter where you live! there's danger lurking in lint! A little laundry lint becomes a lot pretty quickly, creating a clog in your dryer vent. Add the heat of repeated dryer use to that clog and you're seconds away from a fire. The Consumer Product Safety Commission estimates that nearly 17,000 dryer related fires occur each year. Nationwide, those fires amount to over $200 million in damage. Tens of thousands more small fires go unnoticed and damage the inner workings of your dryer, possibly making it unsafe. THERE'S A DEMON IN YOUR DUCTS! 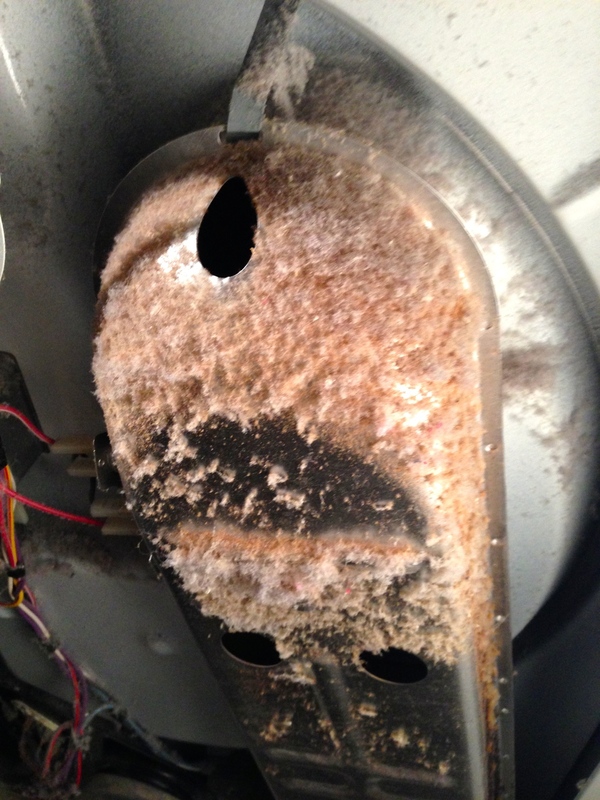 Just a 1/2" of lint build up in a vent can cause a 44% reduction in the exhaust capacity. This extends drying times significantly, often to the point of needing a second drying cycle. A clean dryer vent lets more heat through so the time you need to run the machine drops significantly. Goodbye soaked socks. Dryers are the most expensive household appliance to operate. And while saving homes and lives is our mission, saving you a little money along the way isn't bad either. A clean dryer means a more efficient dryer. A more efficient dryer means a smaller bill. Our fee quickly pays for itself in lower service and utility costs. When your filter is able to breathe your machine goes through less stress. Simply put, after LintFighters has been through, you'll be able to use your dryer a lot longer. the most advanced technique for lint removal. Using the dual-action combination of a high-powered vacuum and a rotating brush, dangerous lint is completely removed from your venting system and from the dryer itself. We're the LintFighters and we're here to help. the art of dryer vent cleaning. PROPERTY MANAGERS AND HOMEOWNERS ASSOCIATIONS, BE SURE TO ASK ABOUT MULTI-UNIT SAVINGS! Lintfighters will contact you shortly. Call us at 1.844.lint.911 today!